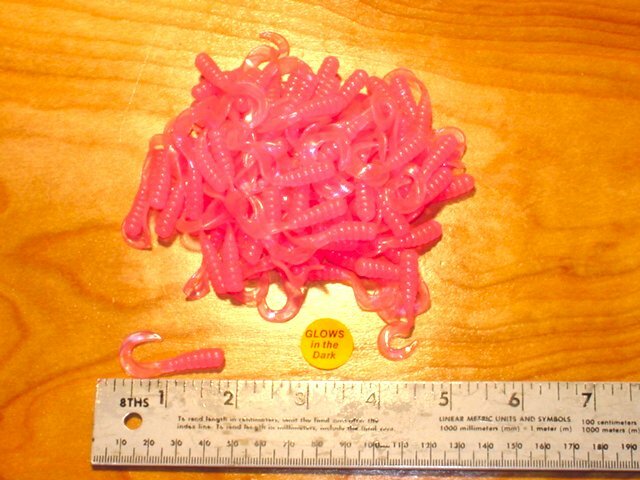 Fishing Items For Sale as of 2/17/07 click images for larger view, more Items added every day. 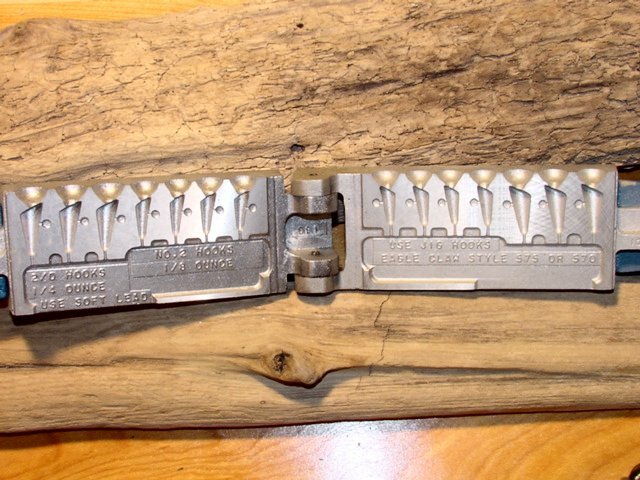 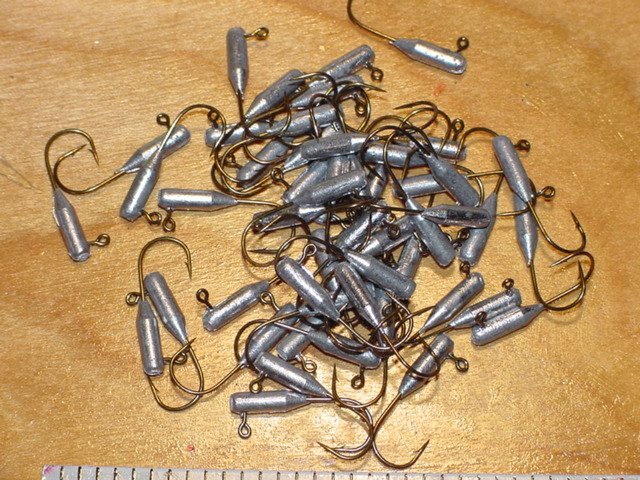 Many of these items are currently listed on ebay you can click here for the most recent ebay listing. 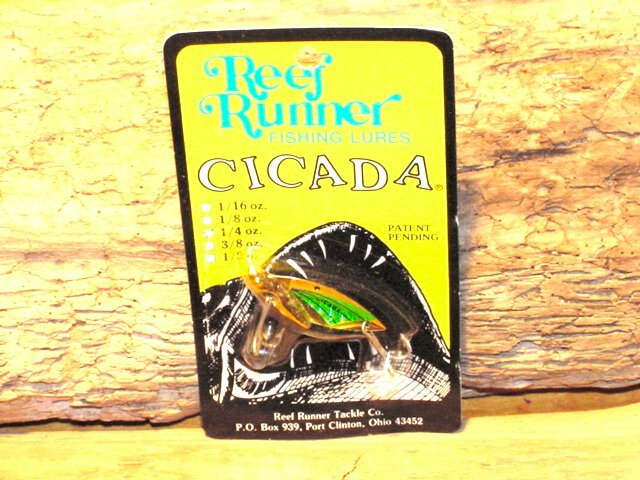 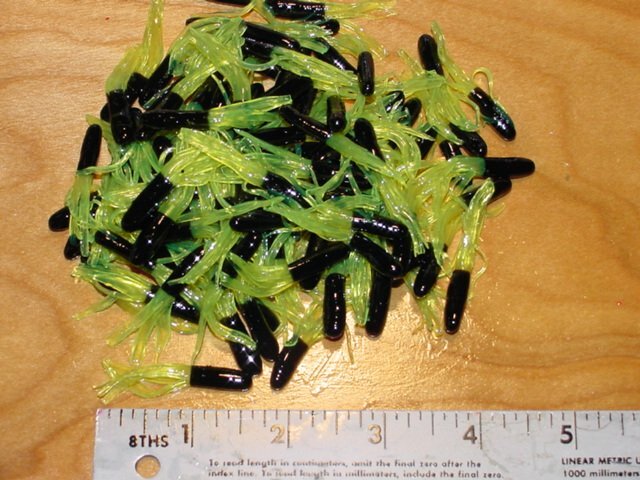 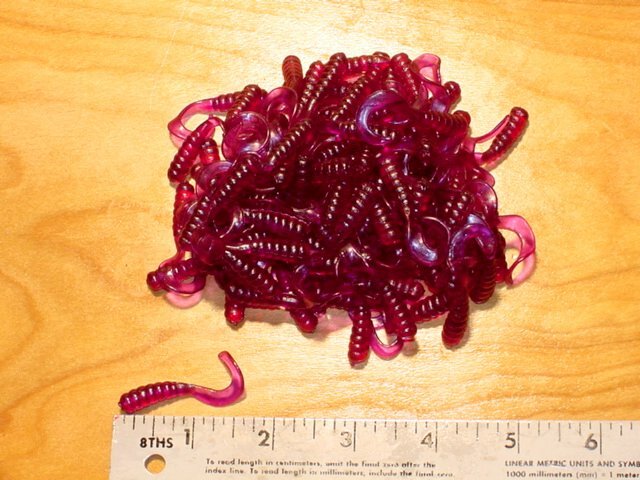 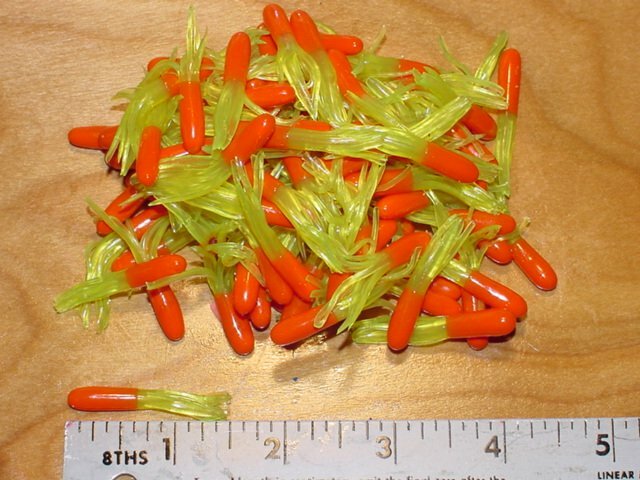 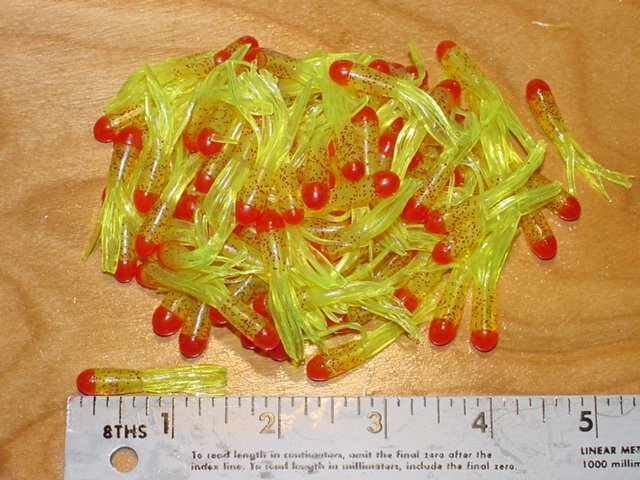 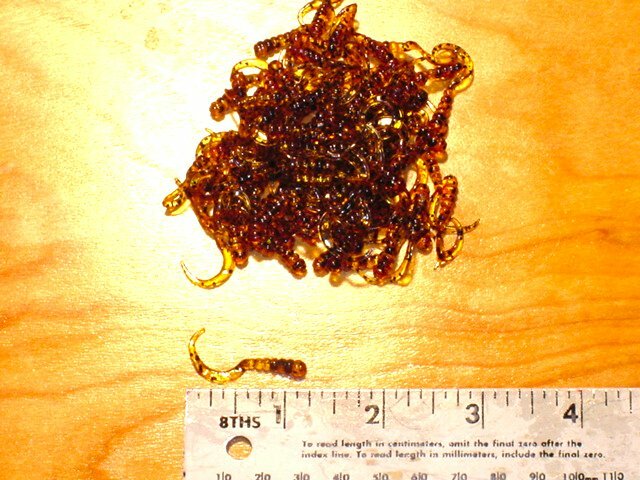 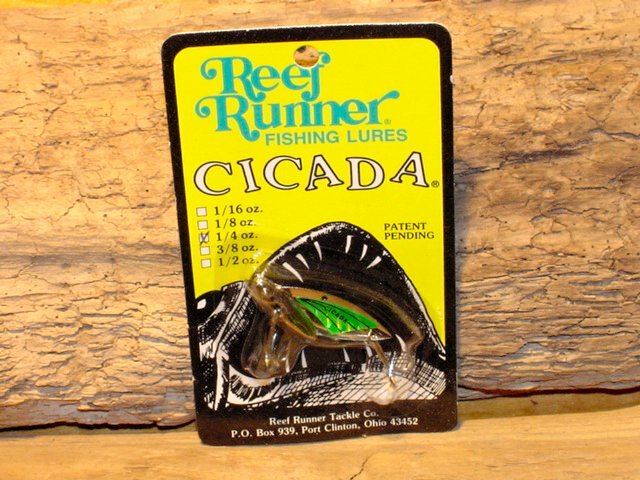 Tube Skirts 1-1/2 inch chartreuse Red Fleck 100 Tube Skirts 1-1/2 inch chartreuse Black 100 pack Tube Skirt Jig Head 1/32 or 1/16 ounce 50 Pack Minnow Style Tube Jig 1/32 or 1/16 ounce 50 Pack Gold Standard Spinnerbaits Listed on Ebay right now. 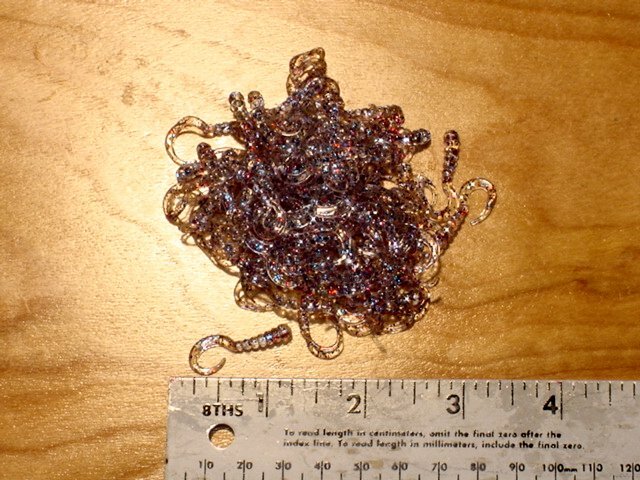 Click Image to bid. 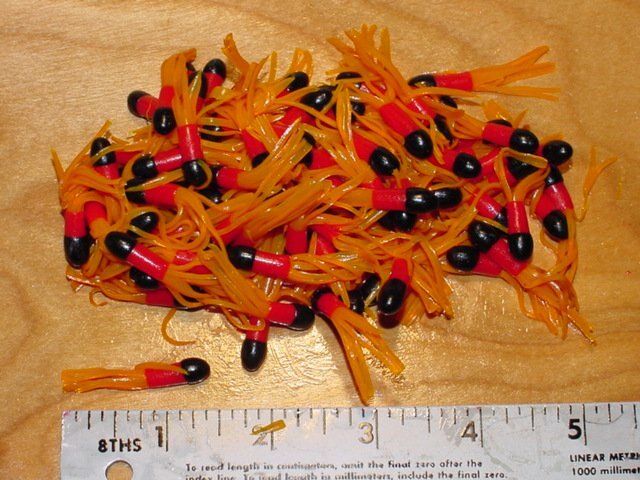 Gold Standard Spinnerbaits Listed on Ebay right now. 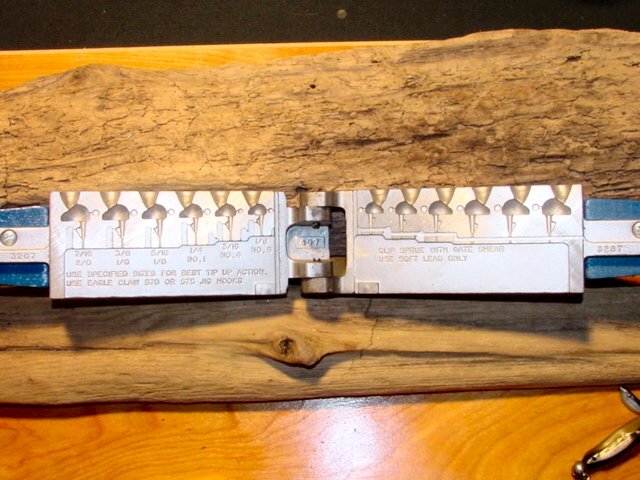 Click Image to bid. 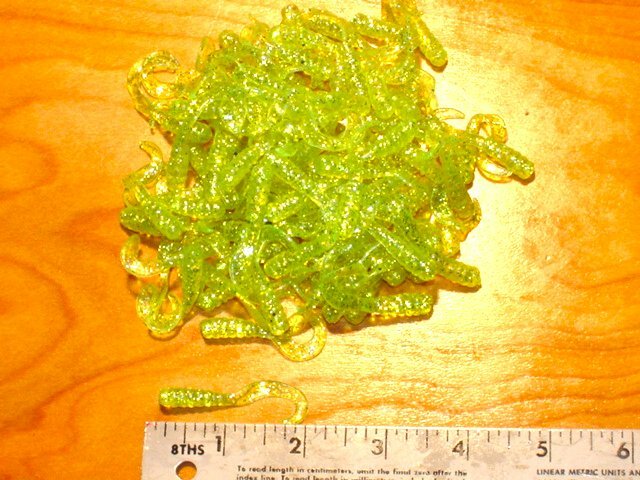 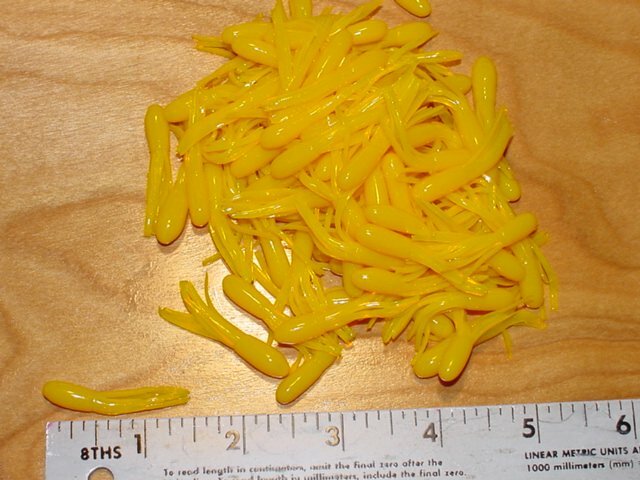 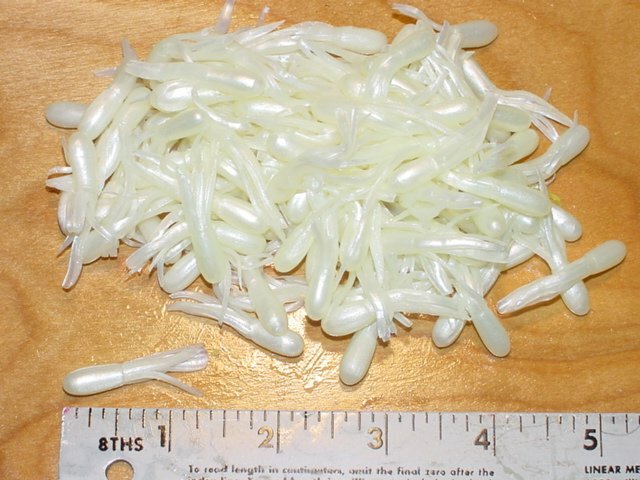 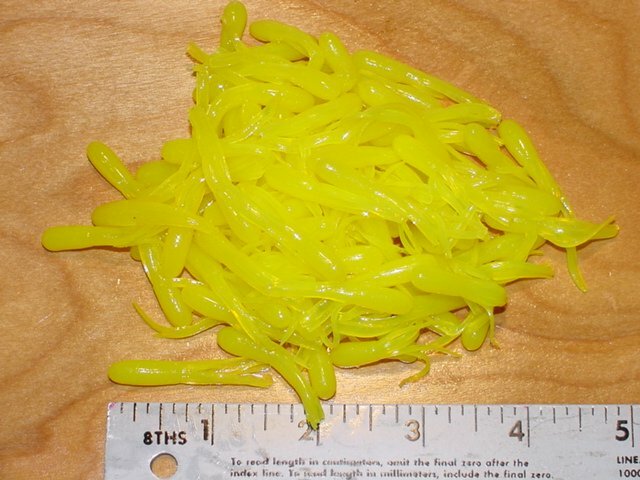 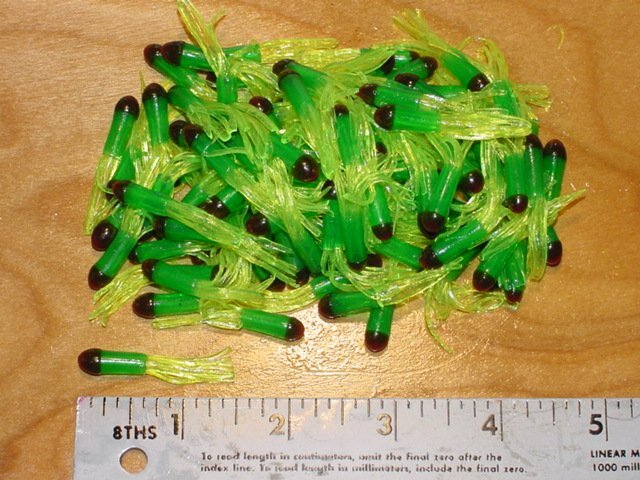 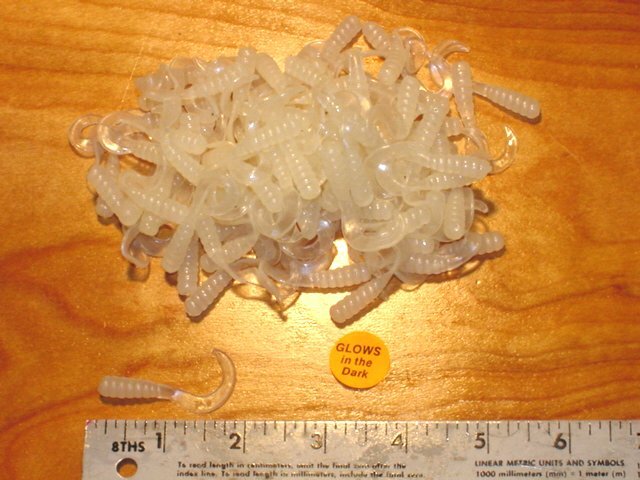 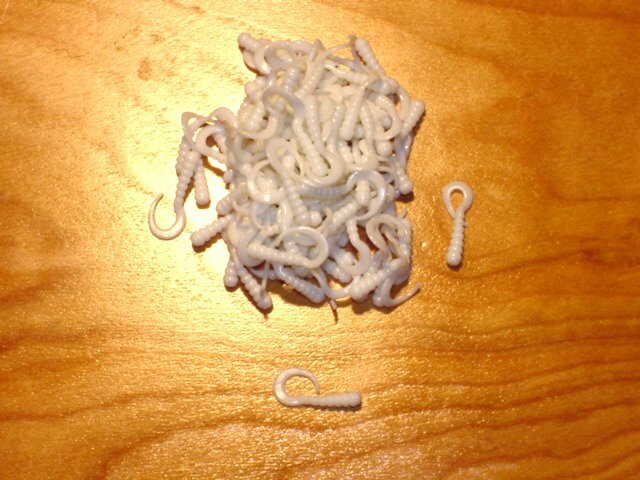 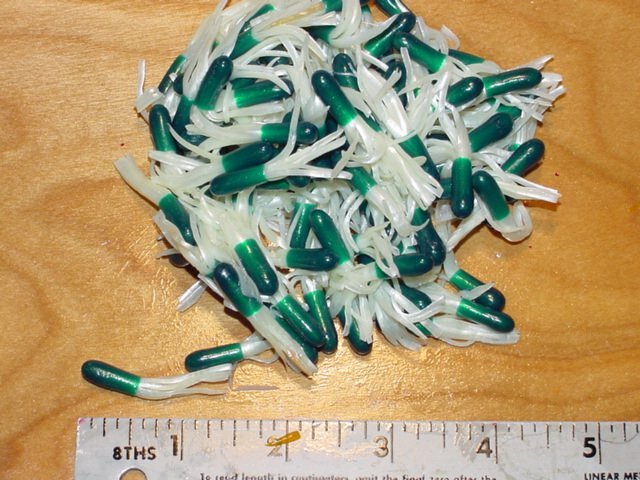 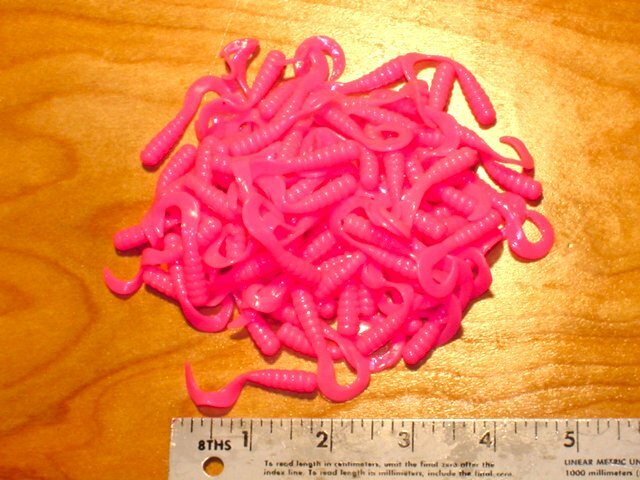 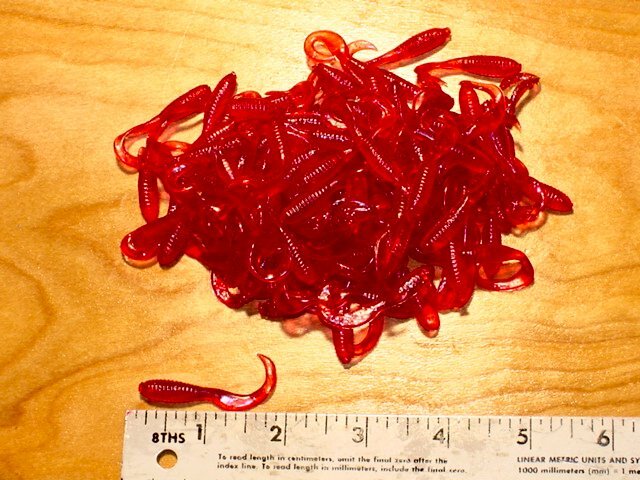 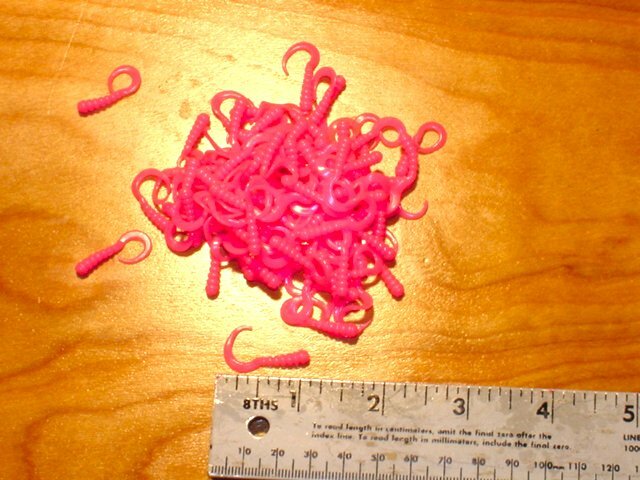 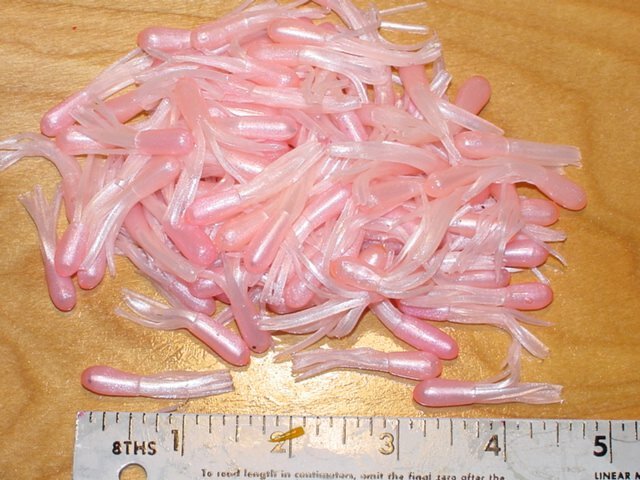 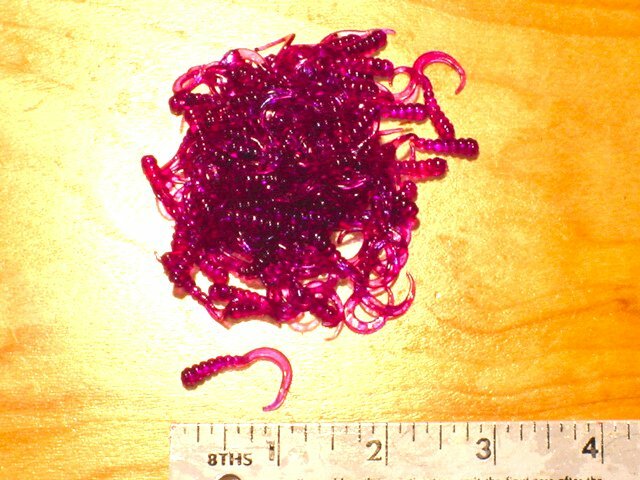 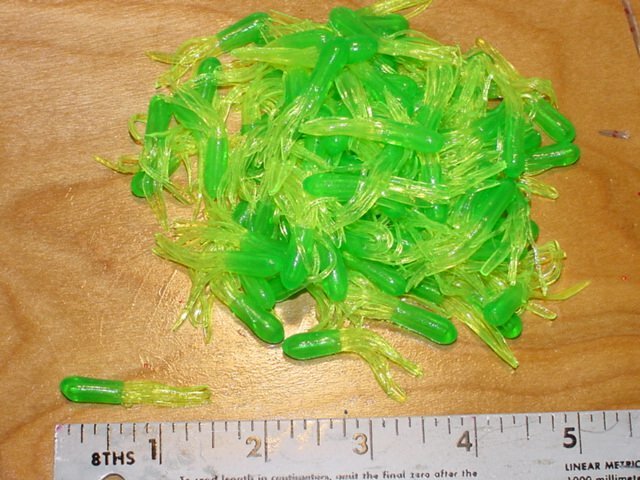 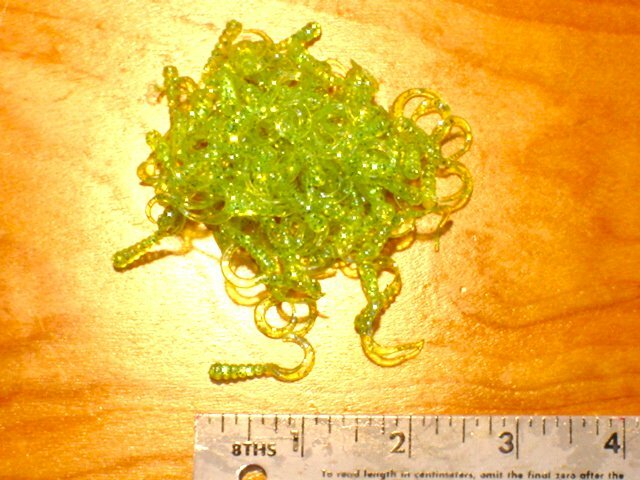 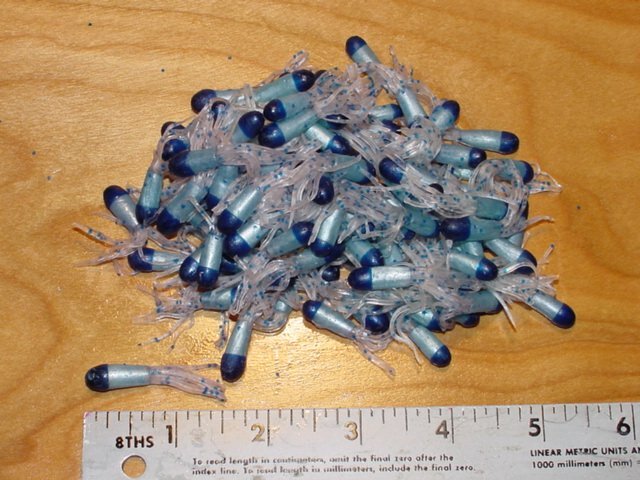 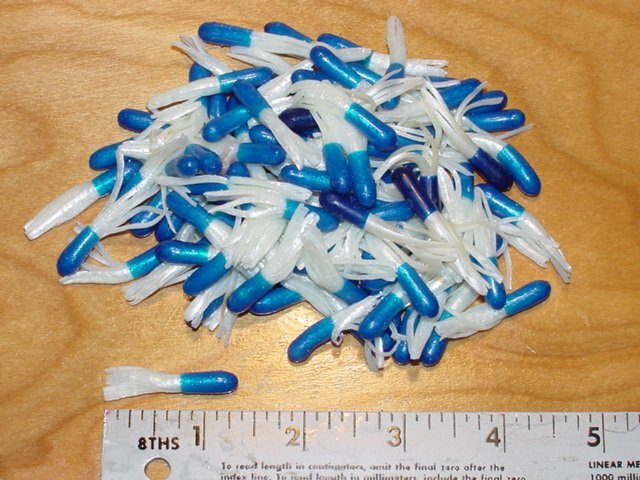 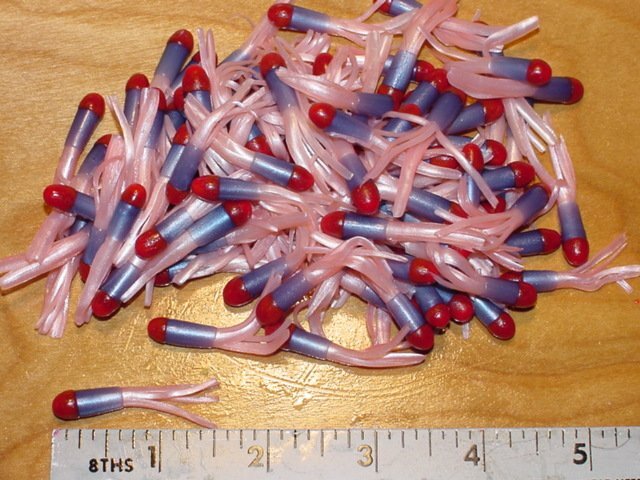 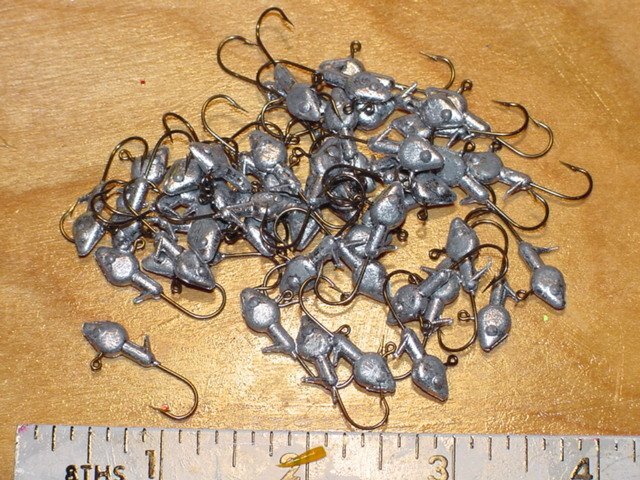 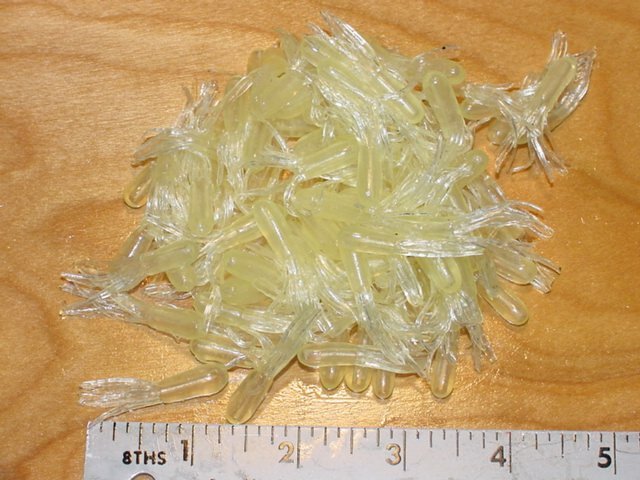 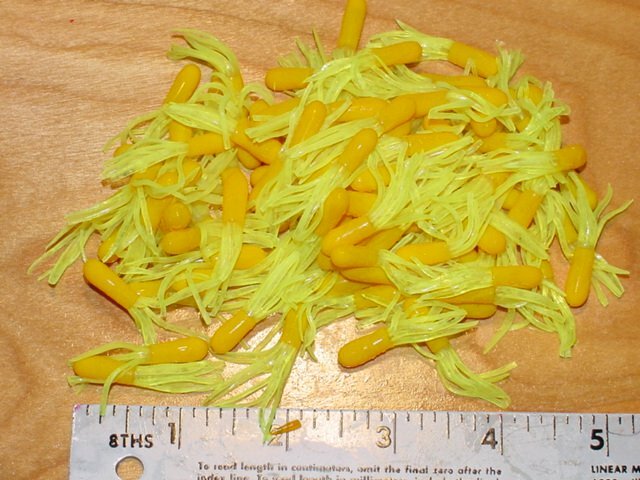 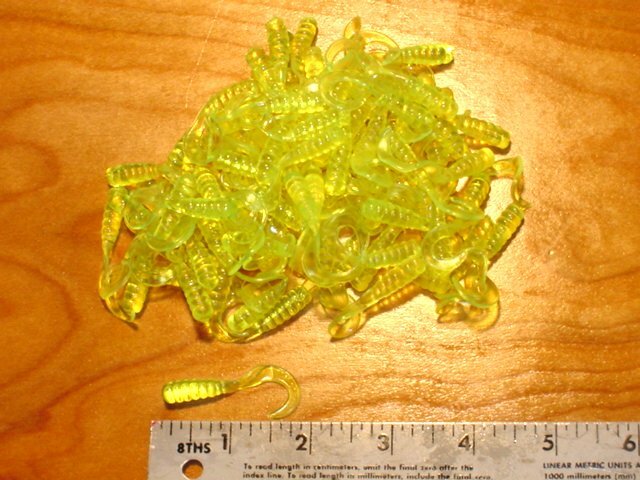 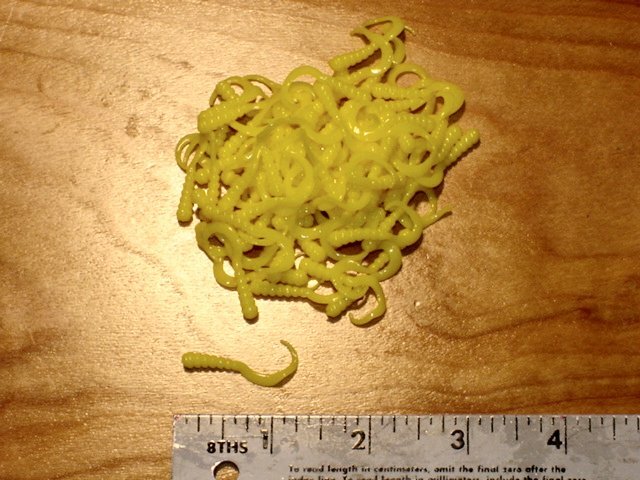 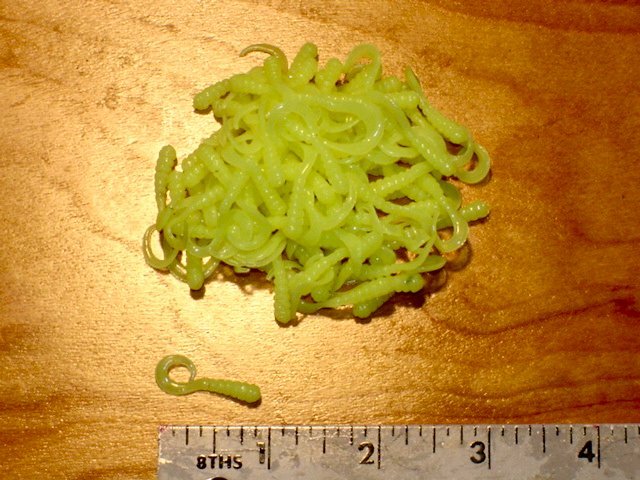 2 inch Twister Tail Chartreuse Sparkle 100 pack 2 inch Twister Tail Chartreuse 100 pack 2 inch Twister Tail Bubblegum 100 pack Check soon for more items! 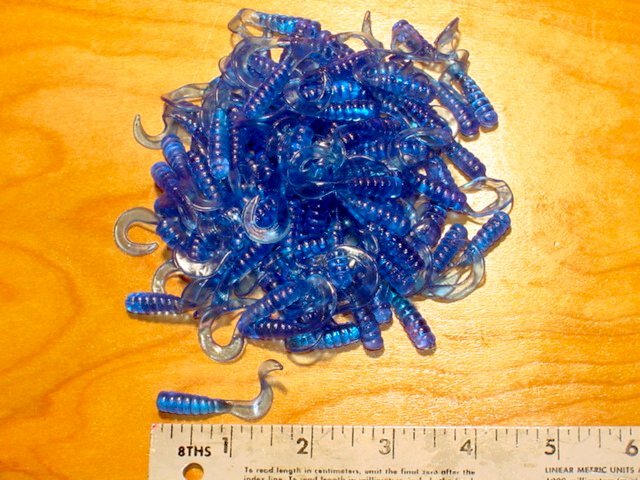 Check soon for more items!